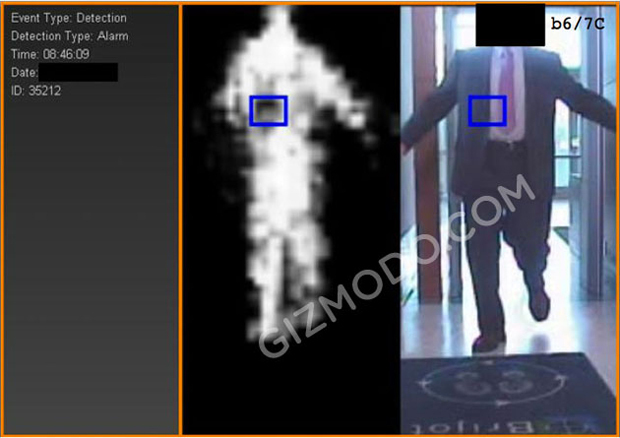 Yet the leaking of these photographs demonstrates the security limitations of not just this particular machine, but millimeter wave and x-ray backscatter body scanners operated by federal employees in our courthouses and by TSA officers in airports across the country. That we can see these images today almost guarantees that others will be seeing similar images in the future. If you’re lucky, it might even be a picture of you or your family. 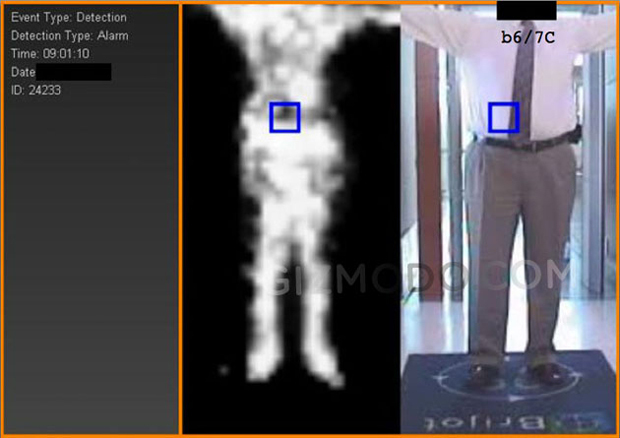 While the fidelity of the scans from this machine are of surprisingly low resolution, especially compared to the higher resolution “naked scanners” using the potentially harmful x-ray backscatter technology, the TSA and other government agencies have repeatedly touted the quality of “Advanced Imaging Technology” while simultaneously assuring customers that operators “cannot store, print, transmit or save the image, and the image.” According to the TSA—and of course other agencies—images from the scanners are “automatically deleted from the system after it is cleared by the remotely located security officer.” Whatever the stated policy, it’s clear that it is trivial for operators to save images and remove them for distribution if they choose not to follow guidelines or that other employees could remove images that are inappropriately if accidentally stored. To the point, these sample images were removed from the machine in Orlando by the U.S. Marshals for distribution under the FOIA request before the machine was sent back to its manufacturer—images intact.